NEW! 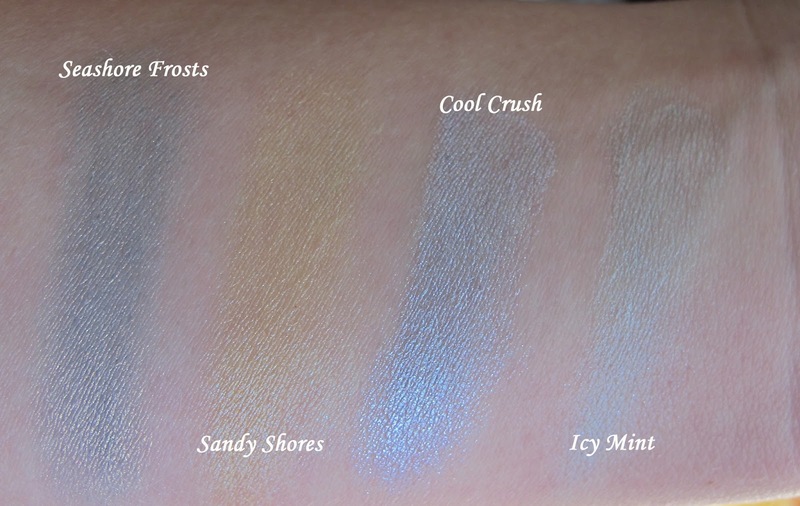 Duo-Chrome Maybelline Color Tattoos Spring 2013 Review + Swatches! 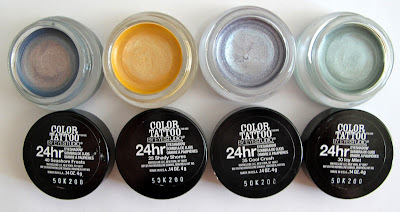 The last few Maybelline Color Tattoo collections that have been released haven't done much for me and I really haven't had much interest in purchasing them. But the most recent release definitely caught my eye. Duo-chrome seems to be a big trend in makeup this year and Maybelline followed suit with their Color Tattoos for Spring 2013. Each one that I picked up has the duo-chrome quality, in that each color contains sub-colors and these colors reflect differently depending on the light. This is a very beautiful and interesting collection and I think Maybelline hit the nail on the head with colors that will attract buyers this time of year. Icy Mint: Light mint with blue undertones. I love how unique these colors are and the duo-chrome is a huge selling point. 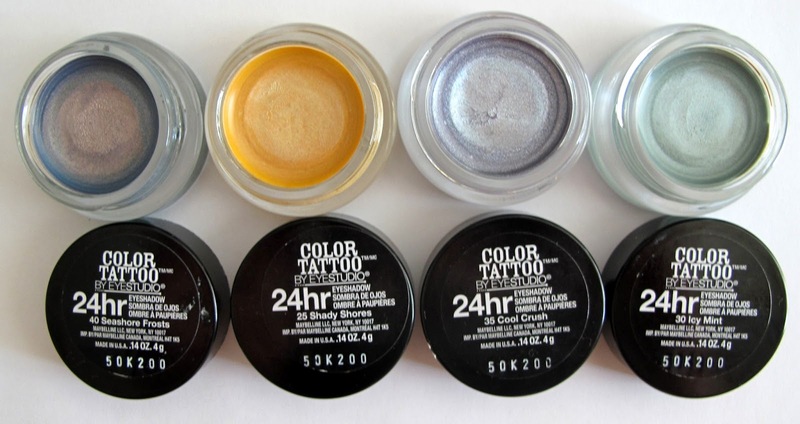 I really haven't seen cream eyeshadows, drug store or high end, release colors quite like these. They are fun and different for Spring and Summer and nice options to have in your makeup collection. When these are dry, they will last for hours on your lids without too much creasing and are great as a base for eyeshadow or on their own. I have to say, the cons out-weigh the pros for these. First off, as much as I love the colors, they all have cool, blue or green undertones, which don't compliment my skin as much as colors with warmer undertones do. This makes them less versatile and wearable for me personally. They are also very sheer, much more sheer than other colors that have been released by Maybelline. They act mainly as a wash of color over the lid, not as the statement or focus color you would expect. To build the color, your best bet is to apply a layer, wait for it to dry and then apply another one and so-on. Even then the color is still quite sheer. Although they last for several hours once dry, I felt them on my lids, like a very subtle stickiness or friction when I opened and closed my eyes. This isn't a make or break thing for me, but might be quite annoying to some, especially if you aren't used to wearing makeup. Lastly, one thing I have noticed with these Color Tattoos verses similar products by brands like Makeup Forever is that if they sit for a few months without use they dry up. My Makeup Forever Aqua Creams never dry up, no matter how long I wait between uses. Given the price difference this isn't that surprising, but it is something to consider before you purchase. I am honestly kind of torn. I am glad I have them and I wouldn't return them, but I was pretty disappointed with the lack of color payoff. I would suggest buying maybe one color and going with that, I am not sure they are all worth purchasing.